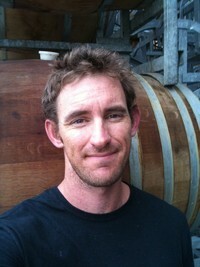 Yarra Valley based Luke Lambert joins me on this episode of The Vincast. Originally from Brisbane he discovered a love of elegant food-friendly wines early on and after being inspired by Italian wines decided to become a winemaker, applying for university from a phone box in London. He explains how he has become one of the leading lights of small batch “hands-off” winemaking in Australia in the space of ten years.